Oil on canvas, 2009. Inspired by a specific tree I found while hiking at Butano State Park in San Mateo County, California. 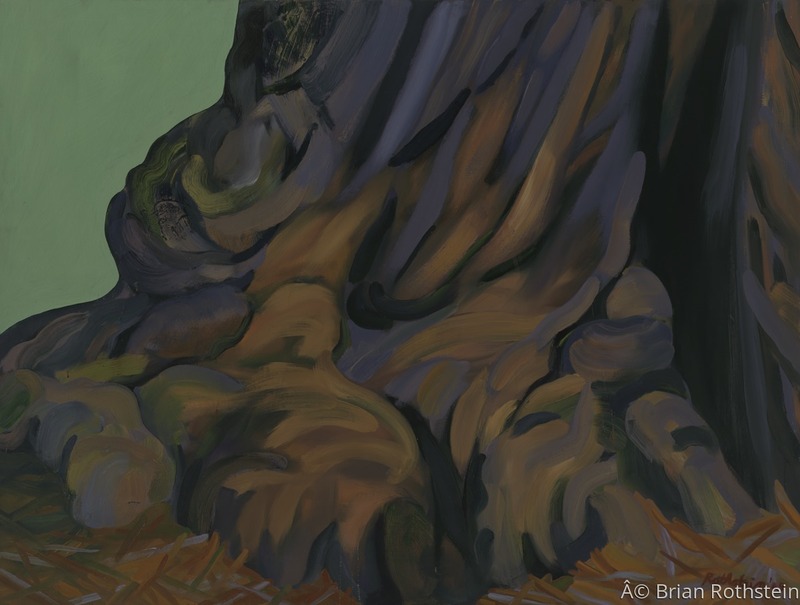 At the time, I was interested in painting the lower trunks and burls of redwood trees both because I was visually and spiritually drawn to them but also because they embodied for me a sense of personal and enduring spiritual strength. This became the first of several paintings I have done that have focused on similar subject matter to cultivate and express those aforementioned qualities.